Training camps are open around America, key injuries are already happening and suspensions have been handed out. It can only mean one thing... Football season is upon us! The annual Hall of Fame game is just over a week away, HBO's "Hard Knocks" crew are gearing up to give us another behind the scenes look at the Cincinnati Bengals and we here at TPL are planning out our pre-season coverage and picks. But during all that we will continue with our countdown of the best players in 2013, with the number 1 player being revealed on opening day. Here you can see players 40 to 31, with the links to everyone else above. Sit back and enjoy! When San Francisco took Vernon Davis 6th overall in 2006 people were surprised. Not because Vernon Davis wasn't talented, but because really, who takes a tight end 6th overall?? The initial return from Davis wasn't great either. He topped 50 receptions just once in his first 3 seasons and averaged 11 yards a catch and just 28.3 yards a game. Hardly the production one expects to find at the top of the draft. And it wasn't just the raw stats that were disappointing, but the overall effort levels of Davis that had many labelling the obviously talented player a bust. Mid-2008 Mike Singletary took over as head coach, his first coaching position in the NFL. And his first controversial act as head coach was benching Vernon Davis mid-game for putting himself above the team. Singletary lasted just 40 games in San Fran, and his reign could hardly be called successful (18-22 record), but he laid the foundations for the 49ers team we enjoy today. From drafting the likes of Mike Iupati to putting a rocket up Davis' arse and, in his words, helping him become the player he is today. That player, from 2009 onwards, hasn't missed a game and has averaged 60 catches, 805 yards and 8 touchdowns a season, which given the shoddy QB play he's dealt with is remarkable. Davis has been a crucial part of the 49ers return to, and success in, the playoffs. In 2011 it was 7 catches, 180 yards and 2 remarkable touchdowns in their unlikely upset of the New Orleans Saints. This season it was 100 yard games in their successful come back against Atlanta in the NFC Championship game and another 100 in the oh-so-nearly comeback against the Ravens in the Superbowl. Self-confidence, often to the verge of cockiness, is not a rare thing among NFL players; nor is it necessarily a bad thing, as long as they can back up their play can back up their words. It's that level of self-confidence that allows players to excel; no-one ever became an elite player by being unsure whether or not they can execute their assignments against other elite players. Still, such self-confidence, especially when boosted by initial success, can lead to claims that are ludicrous and laughable - see: Johnson, Chris, 2,500 yard season (and neither are coaches immune from this - see: Ryan, Rex, Super Bowl guarantee). When a young, confident player claims that he could set a new single-season sack record of thirty, you'd be forgiven for dismissing or ignoring the claim. Then again, when that claim is being made someone who's career trajectory so far is on track to surpass the great Reggie White's, it might be time to pay some attention. Aldon Smith is not yet a complete player. Though he's consistently improving as a run defender, he's still got a ways to go - after all, he's only one season removed from a rookie campaign where the 49ers so little trusted him against the run, he didn't start a single game in 2011, being deployed as little more than a third-down pass rush specialist in the rotation. His 2012 offseason showed Smith as an individual who made poor decisions off the field, from being arrested for a DUI less than a week after his final game of the post-season, to hanging out in situations that resulted in him being stabbed at a house party; his 2013 offseason has mostly been centered around rehabbing from shoulder surgery after tearing a labrum during the 2012 season - an injury that saw him go his final six games of the year (including the post season) without a single sack. Is this the profile or someone who could put up 30 sacks in a single season? Perhaps not - but it's hard to argue there's an NFL player who'd have a better chance of hitting such a lofty target. Despite being only a rotational player as a rookie, he still managed to notch up an impressive 14 sacks - a team rookie record. In 2012 he followed that up with the single-season sack record for the 49ers with 19.5 sacks. Those 33.5 sacks in his first two years are the most sacks any NFL player has ever had in his first two years - including Reggie White. More impressively for Smith, he didn't just beat White's record for the fastest player to reach 30 sacks, he smashed it, notching career sack no. 30 in career game no. 27 - a full four games sooner than it took White to reach that record. In case he wasn't done breaking records in 2012, you can throw in his 5.5 sacks against the Chicago Bears on Monday Night Football, the most sacks ever seen by a single player on a Monday Night Football game. 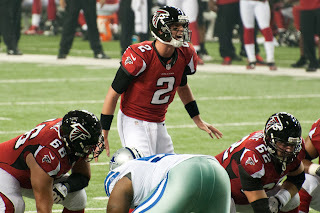 He was ultimately pipped at the post for the title of sack leader last year by J.J. Watt, but after Week 13, where a two-sack effort against Miami marked the last time Smith downed a quarterback all year, ostensibly because of that torn labrum, Smith was three sacks clear of Watt, and if we assume the lack of sacks was a result of his injury, then at the rate he was going pre-labrum tear, Aldon Smith would have finished with 2012 with 24 sacks, a number that would have surpassed the previous single-season sack record by a sack and a half. It's fair to say that Charles Tillman has benefited from a big one-year stats bump to find his way to #38 in our rankings. He's always been a good corner; since arriving in Chicago in 2003 he's been a starter, and over the 10 years of his career Tillman's consistently shown he can cover #1 receivers 1-on-1, can ballhawk to make key interceptions, and has the awareness to turn picks into long returns - he joint led the league in 2012 with 3 INT return TDs. He's also a fierce tackler, a skill where sometime even the best DBs fall short of true greatness, and never was this more evident than in 2012. 10 forced fumbles, 4 of which came in one game vs the Tennessee Titans, speaks volumes of not only his willingness to drop his shoulders and lay out a ball-carrier, but also the genuine skill with which he does it, targeting the ball at all times giving himself the best shot to force the turnover. Despite the Claymaker's sack total bouncing back to impressive levels after a disappointing 2011 campaign, he slides 7 places in our rankings this year to 37. Matthews' 2012 campaign is an intriguing one when you look a little deeper. The move over to the right outside linebacker position kept him from being as involved in the run game as he used to be, and his total QB pressures were lower than they were in 2011 (70 down to 56 per Pro Football Focus). But he was able to rack up the sacks at more than 1 per game (13 in his 12 games played, 16 in 14 including playoffs). So while facing left tackles on a more consistent basis in 2012 hurt Matthews' consistency, rushing from the blind side allowed him to have more of an impact overall. One think I like to look at with pass rushers is game to game consistency and who they've been playing. Have pass rushers just grown fat on poor offensive lines? Have they disappeared completely against good opposition, or worse against poor ones? Matthews' 2012 game log is pleasant reading. He was sackless in just 3 games; week 3 against underrated Russell Okung and the evasive Russell Wilson, week 6 against the excellent Duane Brown and then in week 9 against Arizona when he got injured. Yes, Matthews did boost his numbers against poor opposition, getting 5.5 sacks in his 2 games against Chicago, but that's balanced by picking up 3.5 sacks against Joe Staley in 2 games. Not only did Matthews have more success in hunting down QB's in 2012 against stiffer blocking, but it was done without ANY help. 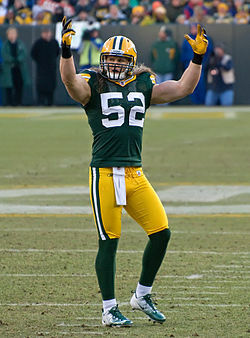 His rush partners were the terrible Erik Walden and rookie Nick Perry who combined for 5 sacks over the season. He got little help inside either, so to convert pressures into sacks at such a high rate is really a remarkable feat, and one that is likely to fall back to earth in 2013 unless Green Bay can find a way to get him some more help. Ordinarily, the Canadian Football League, to be frank, is where football players go when they fail to make it in the NFL but refuse to accept the stark truth that their dreams of making it playing professional football are, in the main, dead. Very occasionally, a player from the CFL is able to break into its American cousin, giving hopes to those chasing down a Grey Cup that one day they might be chasing down a Lombardi Trophy instead. The odds of a CFL player getting a roster spot on an NFL team are very low indeed - and the odds of that player making an impact in the NFL are lower still. Historically, even on those few occasions when a player is able to make such a transition and having such an impact has typically been restricted to those on the offensive side of the ball, and particularly quarterbacks - Warren Moon, Joe Theismann and Doug Flutie are probably the most notable names to have played on both sides of the border (with apologies to Jeff Garcia). A defensive player making the same transition is nigh-on unheard of - or at least, was unheard of... until Cameron Wake arrived in Miami. A defensive end/linebacker tweener at Penn State, Wake went undrafted in 2005 and barely lasting a few months with the Giants before being cut in the run up to training camp. After a year out of football, Wake signed with the British Columbia Lions, and put together two of the greatest seasons a defensive player has ever had in the CFL, notching up 39 sacks over his two years in the league, being named the league's defensive player of the league on both occasions and being named to the CFL's all-2000 team, just based on the production of those two years. Signing with the Dolphins in 2009, Wake spent that year mostly as a rotational pass-rusher as he adjusted from being a full time defensive end in Canada to a full time outside linebacker in the NFL. The next season, Wake became a full time starter, and responded with a 14-sack season and a Pro Bowl berth, as well as a spot on the All-Pro second team; he followed that up with a somewhat more mediocre 8.5-sack campaign, the final year the Dolphins ran a 3-4 defense. Last season, Wake returned to the defensive end position he had caused so much chaos from in the CFL, a move that saw him put up 15 sacks, earn his second trip to Miami, and, more importantly, his first outing with the All-Pro first team. I guess the real question regarding Eli Manning is whether last year's #15 ranking, or this year's #35 ranking, truly reflect the level of play we see from the youngest of Archie's off-spring. The fact is, last year he benefited from the Super Bowl bump that comes when you beat the Patriots in the biggest game of all for the second time in 5 years, and this year, well he's suffering from the deflation you get after a season that didn't end in the playoffs, despite everyone in your division doing their best to give that top spot away. In truth, 35 is a pretty fair assessment of the Eli impact. He's proven that he can produce the goods in the toughest of situations, like hitting Mario Manningham on that ridiculous sideline catch on the game-winning drive of Super Bowl XLVI; he's shown that he can produce season-in, season-out, breaking numerous Giants franchise records surpassing greats like Phil Simms, Charlie Conerly and YA Tittle on the way; but he's also shown that he can sometimes be inconsistent, and he's only ever one weak performance away from people questioning him as a top level QB. The biggest debates you get in rankings like this is almost always "How good is Navorro Bowman really?". The shadow that Patrick Willis can cast on the other 49ers linebackers is enormous and very difficult to get out from. But if anyone can, it's Navorro Bowman. Bowman's athleticism is unreal. His range and closing speed are what you'd expect from a safety, not a 240+lb linebacker. It's this kind of ability in space that means San Francisco can use sub-packages with Bowman on the field and Willis on the bench. Football Outsiders had Bowman on the field for 95% of San Fran's defensive snaps as compared to 93% for Willis. It's not a massive difference, but proof that, in certain circumstances, there times when Bowman is simply a better option than Willis is. Moving away from comparisons to #52 for a moment, Bowman is the kind of all-round talent that I love to watch and will always get a rankings boost from me. He can blitz, take on lead blockers in the hole and is the best coverage linebacker I've seen for some time. Want to play man coverage? No problem, Bowman can go against the best tight ends and running backs without a problem. He'll even do a number on some slot receivers. Fifth round picks are generally expected to provide depth and special teams for the NFL, unless they are considered a 'project' player. They are not generally expected to start a majority of their rookie season, let alone go on to start 68 consecutive games. On those rare occasions when a fifth-round pick does start, they're expected to maybe do a decent stop-gap job until a real starter can be brought in. They are not expected to become one of the most dominant players in the league. 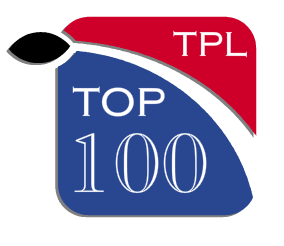 Yet, for the second year in the row, the top interior offensive lineman in the TPL100 is Carl Nicks. What makes Nicks so good that we feel prepared to call him the best at his position in back-to-back years? 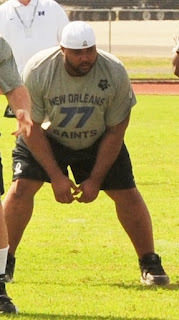 He is, after all, not a player without his faults; he is not the most consistent lineman in the league, with him routinely having a whiff or two a game; he has a tendency to go up to the second level before he's made sure the first-level defender has either been put on his back or has been locked up by a fellow blocker; and, for all that it's absolutely not his fault, it must have been viewed as an enormous disappointment that, after being made the highest-paid guard in the NFL, his season was cut short after just seven games due to turf toe. 5 years, $103.75 million. That is the magnitude of the contract extension Matt Ryan signed at the end of July, making him the second highest player in the NFL by average annual salary behind a certain Green Bay QB. Well, yes. Even having played 5 years in the NFL, Ryan is still seen as a "future" elite player, and once the Bradys, Mannings and Brees' of this league have moved on he'll undoubtedly be in the conversation for the #1 QB if his career continues on the same trajectory on which it's started. So why does Ryan find himself down at #32 in our top 100 ranking? It had to be due to the question mark that still surrounds his big game ability. He's still 1-4 in playoff appearances. No one can begrudge him the loss in his rookie season, 11-5 in the regular season is a fantastic rookie performance at QB, and losing to a Kurt Warner led miracle that was the 2008 Arizona Cardinals in the post-season despite going 26-of-40 and throwing 2 TD passes is nothing to be ashamed of. But skip to three years later, a 10-6 season where Ryan has broken 4000 passing yards and thrown 29 TDs, and his offense get completely shut out by the Giants in the playoffs where he failed to break 200 passing yards despite being odds-on favourites. This inconsistency is what keeps peoples opinion of Ryan in check. Of course, the 2012 season saw Ryan win his first playoff game, a 30-28 sneak win over the Seahawks. Having dominated the first half, taking a 20-0 lead to the break, the Falcons slipped to a 27-28 deficit before Ryan completed two 20 yard passes inside the last 30 seconds and Matt Bryant knocked the game winning FG over with 13 seconds on the clock. In the NFC Championship game the week after, Ryan's numbers were great. 396 yards passing, 3TDs. But at 24-21 up in the 3rd quarter Ryan was sacked by Isaac Sopoaga, then threw a key interception to Chris Culliver. After his defense got him out of trouble and forced David Akers into a long FG which he missed, Ryan got the ball back and subsequently fumbled. This time, his D couldn't bail him out, and Frank Gore found the EZ for the winning score. 2012 wasn't the best season for Julius Peppers health-wise. A litany of injuries plagued him all season, often forcing him back down the tunnel mid-game to get checked out by medical staff. But through all that he didn't miss a game for the 5th season in a row and registered 11.5 sacks, even if they did come in fits and starts and featured eight sackless games. The injuries meant Peppers played just 75% of the defensive snaps for the Bears and wasn't the usual force in the run game either. Thanks to the breakthrough of Henry Melton and continued solid play from Israel Idonije the Bears defensive line didn't suffer with his drop off and the defense as a whole was it's usual strong self, but at 33 it's fair to wonder whether Peppers will continue to be affected by injuries, whether they be minor ones he can play through or more serious in nature. It's fair still, though, to wonder how much those injuries might matter. Despite playing hurt last year, and seeing a small percentage of snaps, those eleven and a half sacks are the most the self-proclaimed "Freak of Nature" has racked up as a Chicago Bear, and his highest sack total since 2008. Even the numbers about his stop-start sack production cannot be taken at face value: in the eight games Peppers didn't record a sack, the Bears defense caused at least three turnovers in six of them - and five turnovers in three of those. Even when Peppers doesn't down the quarterback, he brings immense turnovers that causes quarterbacks to make bad throws and forces running backs back inside in to the arms of his waiting teammates.